These cheeky chaps would add humour to any garden or small display. They will draw attention to any corner. 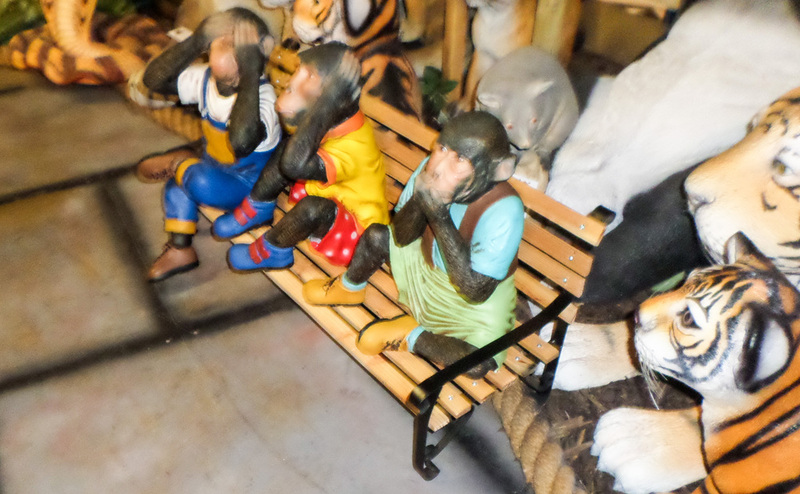 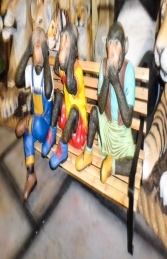 These 3 monkeys are dressed in bright clothing and are a lot of fun they will make your shop or garden stand out from the competition.